What do customer centric companies do? Create Advocates for Life. In my travels in recent weeks I have experienced two examples of how a customer-centric attitude and behavior produce memorable customer experiences. Both of these were in hotels in different countries. In Rome my wife and I stayed at Hotel Corso 281. We planned to go south for a few days by train and wanted to leave a large case at the hotel and pick it up again on our way from the Amalfi coast via Rome to Venice. Even though there would only be a 45 minute time between our change of trains in Rome, Delia, the front office manager assured me that they would send a taxi with my bag to the station as soon as my train arrived in Rome. So we took the chance. When I nervously called the hotel on the morning of our journey and spoke to the hotel front desk a different person was fully aware of my situation. As we pulled into Rome station I called again and another front desk person was fully aware and organized a taxi to send the bag. When the taxi arrived at the station it had a large sign with my name in the side window and I gratefully took my bag. Soon after I received a call from Delia to tell me the taxi driver reported to her that the bag had been delivered. We made the train connection all because of a display of team collaboration embedded in the belief that the customer’s needs must be met. When next in Rome we are going back to stay at Corso 281. In Dubai I checked in to the Rihab Rotana hotel after a 7 hour flight from London. The front office manager gave me his card and also the card of the other front office manager who was off duty. He assured me to call them any time if there was a problem or something they could do. This gentleman, Mazen, was gracious, attentive and carefully explained all hotel services. This manner of care could be seen from all staff in the hotel – from housekeeping to concierge to the gym and pool deck.. Soon after checking into my room a bowl of fruit was delivered. Each day in my week long stay I was greeted by the smile of Daryl, a young lady in the restaurant who seemed to be there for all seven days of my stay. She told me that their team of five often had to work long hours and 7 days because when the hotel was very busy they had to make sure all guests received a great experience. Sometimes at the end of the day even though she had already been there 12 hours her greeting and smile never diminished. I will go back and stay at Rotana in Dubai. While these things are small for service people with the right attitude and attention to customer needs, they are huge for the customer. Bottom line – I am an advocate of both these hotels, they stick in my mind, I will go back and I will recommend anyone that asks to try them as well. Do you attract the right talent to your organization? People that focus on the reason their job exists? Does the leadership of your organization focus its attention on delivering a great experience? The insurance industry is facing a shake-up. The traditional model using specialist agents who communicate with their customers around the time insurance premiums are to be renewed and offer generalist solutions is being disrupted. Consumer needs and demands are changing. Independent online research sources enable consumers to buy online, compare alternative offers and enhance self-service choices. Insurers will need to offer more personalized products that take account of individual circumstances and provide more transparency in their pricing. Sites such as Friendsurance enable friends to pool their premiums and is an example of how social networks are bypassing traditional insurance companies. As these grow they will impact incumbents. Car manufacturers are looking to add value to their offerings and through technology will have the ability to offer tailored insurance based on a driver’s history rather than industry wide statistics. Just as they bundle in car servicing they have the ability to bundle in insurance as an overall car package. As more car sharing takes place and the number of low frequency drivers increases premiums can be restructured to cover “pay as you use”. Many new competitors will be pure play online companies as we now see with specialized travel insurance companies like 1Cover. There will be many specialized market niches for them to attack. Incumbent insurance companies will need to build a cultural capability around customer and competitor foresight – a capability that is attuned to future customer needs and future competitive threats. This will require a cultural agility that enables them to innovate and act before customer changes and new competitor models break the floodgates and seriously erode their businesses and their future. Is your company being disrupted or a disruptor? You can read more about what you must do to build customer and competitor foresight in The Customer Culture Imperative. Where is the innovation in American retail banking? More than 150 nominations representing over 30 countries were received for the 2012 BAI-Finacle Global Banking Innovation Awards for breakthrough innovations that positively impact banks and their customers. Of these, 27 were from banks operating in the US and 4 from Canada. The awards are designed to recognize banking organizations for game changing products, services and practices in retail banking. The award winners were selected by an independent international group composed of prominent industry thought-leaders, academics and retail banking professionals. The winners were announced on October 12, 2012. The award for the Most Innovative Bank of the Year went to First National Bank in South Africa. The Product and Service Innovation winner was the OCBC Bank, Singapore, the Channel Innovation award went to DenizBank, Turkey and the Disruptive Innovation in Banking award was won by Alior Bank in Poland. “First National Bank was named as winner for its culture of innovation and advancement of retail banking. As part of their innovative culture, the bank holds an internal competition, called “Innovators,” that formally encourages and supports the process of innovation and related competencies. Business units within FNB are empowered to innovate through leadership buy-in and advocacy. As a retail banking institution, FNB takes a top down approach to innovation to embed it into the culture. It shows visible support of innovation through internal programs designed to develop new-to-the-world products and services that provide access to retail banking for all who want it. FNB’s commitment to innovation can best be seen through their annual contest – “Innovators”. “Innovators” is a companywide initiative that supports and enables innovation with leadership buy-in and advocacy from the CEO and his direct reports. Winners of “Innovators” win real money (up to $120,000 USD) for innovations that meet the test, such as e-wallets and mobile phone offerings, which FNB is known for. 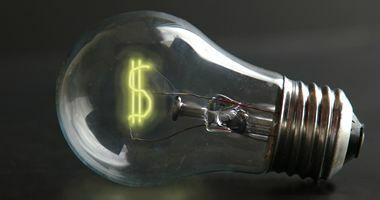 FNB encourages innovation at the lower levels of the organization, too, with its “Minivation” program, which rewards back office employees with “e-bucks” that they can redeem at FNB clients for suggesting more day-to-day, incremental improvements. A minivation is anything that takes less than three months to implement that provides some business benefit. Of course, this is not the final word on innovation in American retail banking, but there was only one US bank finalist amongst the 12 finalists in the four categories suggesting that innovative practices can be learned from banks operating in other countries. But what does successful innovation require? How innovative is your culture compared with your peers? Do you see strong behaviors noted above that are requirements for successful innovation in your business?